In 1947, the author’s grandfather, Arsene, traveled across the ocean to a mysterious, dangerous jungle colony at the behest of his cousin. Together they would build something deemed impossible: a utopia of modernity, in the wilderness — but not before Arsene falls in love with his cousin’s wife, Marieke. Whether delirious from love or a fever-inducing jungle virus, Arsene’s loosening grip on reality is mirrored by the reader’s uncertainty of what is imagined or real by Arsene. 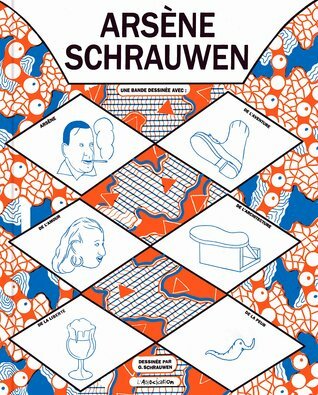 This first full-length graphic novel from the critically-acclaimed Olivier Schrauwen is an engrossing, sometimes funny, slightly surreal and often beautiful narrative.